Funeral services for the Very Rev. James V. Matthews II, rector of the Cathedral of Christ the Light in Oakland, will be held on Sunday, the Diocese of Oakland announced Saturday. Roz Plater reports. Funeral services for the Very Rev. James V. Matthews II, rector of the Cathedral of Christ the Light in Oakland, will be held on Sunday, the Diocese of Oakland announced Saturday. Matthews, known as Father Jay throughout the diocese, died on March 30, of an apparent heart attack at age 70. 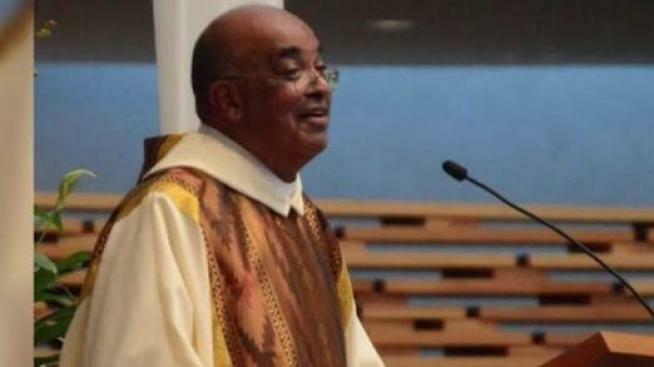 He was a fixture in the Oakland diocese for three decades and was the first African-American ordained priest in Northern California, joining the priesthood in 1974. He served as pastor of St. Benedict Church in East Oakland for 26 years before taking over as rector of the cathedral, the centerpiece of the diocese, in 2015. A procession of the hearse from St. Benedict Church, 2245 82nd Ave., Oakland, to the Cathedral, will take place at 1:30 p.m. Sunday and will be escorted by Oakland police. A viewing will take place from 4 to 6 p.m. at the cathedral, 2121 Harrison St. in Oakland. A vigil and interfaith gathering will follow at 6 p.m. Those expected to deliver remarks at the service include Oakland Mayor Libby Schaaf, U.S. Rep. Barbara Lee and former Oakland mayor Elihu Harris. On Monday at 7 p.m. there will be a mass of Christian Burial. On Tuesday, interment will take place at St. Joseph Cemetery, 2540 Church Lane, San Pablo.